All six of the Angulo brothers love movies. They love to reenact their favourite films - complete with props and costumes. Nothing odd there. However, what is unsettling is that this is the only way these young men have been able to experience the world outside their apartment on the Lower East Side Of Manhattan. For since they were born, their father, Oscar, has kept them locked there isolated from a society that he distrusts and fears. I had heard a lot about The Wolfpack before I finally started to watch Crystal Moselle’s fascinating documentary. Many people were talking about this film and even describing it as one of the best documentaries they had ever seen. So I was soon intrigued. Sadly, like so many documentaries, The Wolfpack was not shown at my local cinema and so I had to wait for it to become available on demand (via the rather excellent BFI Player - click here for a list of places where you can watch on demand movies). 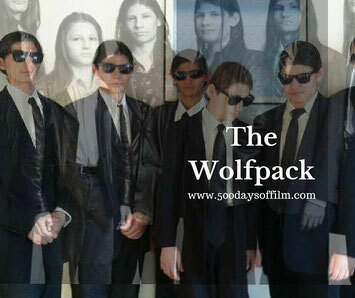 And so The Wolfpack became part of my recent journey through documentary film. I bring this up because I have seen some superb documentaries in recent weeks and I review this movie in the context of having watched those films. The Wolfpack tells a truly remarkable and deeply unsettling story. This is a film that came into being by chance. Moselle was walking in the Lower East Side of Manhattan near her home when she saw a group of striking looking boys. She couldn’t understand why she had never seen them before and so asked them where they were from. She could barely believe what happened next. The Wolfpack begins just as the brothers are on the cusp of breaking away from their father. However, things are still raw and they are still (and perhaps always will be) suffering from the emotional damage of being locked up. On the surface they are articulate and polite. However, as the camera looks into their eyes, I could clearly see their pain. The dark and unsettling character in The Wolfpack is Oscar Angulous. We feel his presence but he is rarely seen. The film suggests that he kept his children isolated to protect them. It also portrays a man who, perhaps as a result of mental illness, used fear as a means to control his family. Oscar has robbed his children of their childhoods. Their mother, Susanne, has been locked in the apartment with them and explains that she would never have chosen this as a way to bring up her kids. She tells the camera about her own childhood - about fields and wide open spaces and how she always envisioned the same life for her own children. We see the grief in her eyes when she reconnects with her own mother. I sensed her regret and yet also felt her inability to confront the deeper issues behind how she has raised her children. Was she forced to live this way? Did she not think to escape? How abusive was Oscar? (We hear that he often hit her when they argued.) She is, of course, culpable and her passivity is certainly odd - but watching the way her sons love and protect her makes her more victim than conspirator. Still, I would have liked Moselle to have questioned her more. Asked her why she allowed this to happen to her children. I would have also liked Moselle to ask the brothers how they coped being locked up in their apartment (apart from seeking solace in film). However, Moselle prefers to let her subjects tell their stories and to not interfere. I found this film making style frustrating at times. The story feels incomplete. This is why The Wolfpack, while a fascinating watch, is not the best documentary that I have seen. The Angulous brothers now ranging in age from 16-23 (and their sister - who is not seen much in this film) will have to come to terms with what they have lost. The fame that has come their way as a result of this documentary has given them a taste of life’s potential - I just hope that they can now move forward. 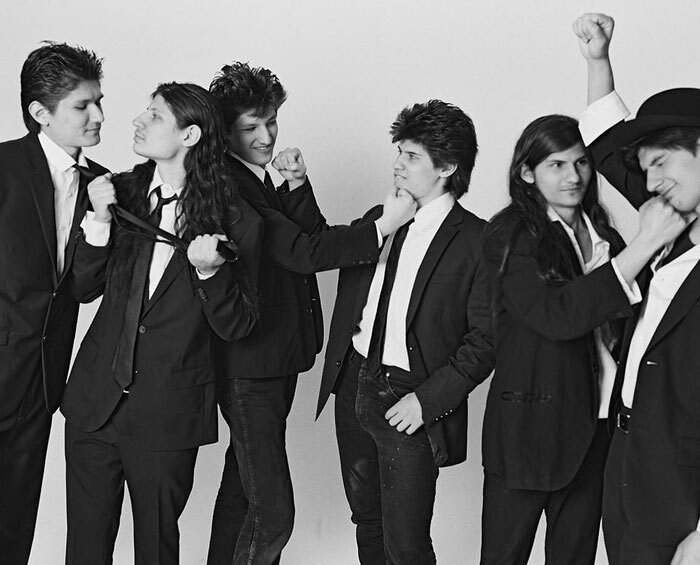 The Wolfpack won the Grand Jury Prize at this year’s Sundance Film Festival. Have you seen The Wolf Pack? If you have, what did you think? I would really love to know - why not leave me a comment about this film in the box below?